Students use maps, video, and text to familiarize themselves with the geography of India, including physical features such as the Himalayas and climate features such as the monsoon. They conclude by creating an infographic showing what they have learned. In this experience, students use maps, video, and text to familiarize themselves with the geography of India, including physical features such as the Himalayas and climate features such as the monsoon. They conclude by creating an infographic showing what they have learned. 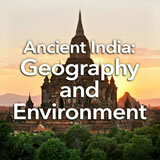 Locate and describe the physical geography of ancient India. Identify the ways that geography influenced ancient India. India has the second-largest population of any country today—over 1 billion people! 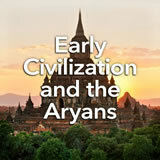 Its geography has allowed it to be the home of ancient civilizations and modern nations alike. 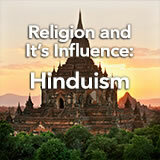 In this experience, you will “travel” to India and learn about its geography. Here’s India! Watch India: Sights and Sounds to see and hear its landscape, its people and animals, and its sounds. Watch to 3:28. Discuss student observations. 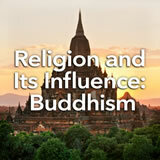 Then discuss what they already know about India and what they would like to know. 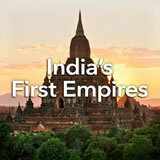 After about 3:28, India: Sights and Sounds focuses mainly on present-day India. Interested students will enjoy watching that part of the video, too. Inform students that the mountain in the photo, K2, is in the modern nation of Pakistan rather than India. However, through most of history Pakistan was part of India. In ancient times, it included some of the Indus Valley civilization. Pakistan was created in 1947, at the time of the independence of India from the British Empire, as a home for most of India’s Muslim population.